Looking over the Mt Owen site. 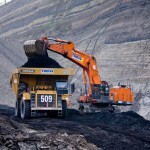 Image: Thiess. A 2015 review into health in New South Wales coal mines found that 83.4 per cent per cent of NSW coal mine workers were classified overweight or obese, compared with 63 per cent of the general population. 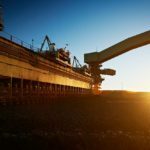 With the Australian general population gaining an average of 300 grams every year, Thiess team members at the Mt Owen mine in the Hunter Valley region were able to show that they have reversed the population trend by fourfold – with every individual losing one kilogram of weight every year. 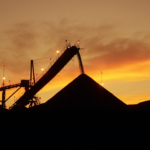 According to Thiess’ Mt Owen mine manager Kim Nguyen, acknowledging the contribution it makes to that national problem is the first step of welcoming a change across the mine site. The collaboration between Thiess, a member of CIMIC Group, at Mt Owen and Ethos Health, has changed hundreds of lives since it was introduced. “Thiess always had an annual health and wellbeing program prior to the obesity blueprint,” says Nguyen. “But that [review] gave us a lot more momentum, reason and purpose behind what we do because Thiess as a business prioritises health and safety. Thiess’ Mt Owen team began its journey by realigning the team members with the NSW Mineral Councils (NSWMC) obesity blueprint, to lose “one kilo at a time, one miner at a time, one year at a time” three years ago, and it is still running. One year into the program, 146 Mt Owen team members reported a body weight loss average of one kilogram. The participation also went from 303 people in the first year to 312 people the year after, representing 82 per cent of the total Mt Owen workforce. The participants are made up of a diverse range of engineers, mine operators, maintenance, trade assistants through to the senior management team. 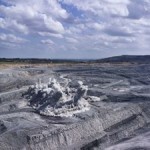 But the coal mine did not stop there – Mt Owen now has the ambition to replicate that percentage lost year on year to attain a weight loss of 5 per cent over the course of five years. “Now that’s something that no population in the world demonstrates,” says Ethos Health chief executive Trent Watson. The Mt Owen mine manager believes there are two key successes of the Positively Healthy program: the participation and the retention rate. “There’s no point having a program where you get initial sign-ups, and have people suddenly going back to what they used to do as soon as the program’s finished,” says Nguyen. The Positively Healthy program was not designed to be prescriptive. Instead, Ethos Health took an agnostic approach with Mt Owen. “If the team have their own special formulated diet, they could still be part of our program. If the people choose to follow a certain commercial dietary plan, they could do that as well,” Watson explains. 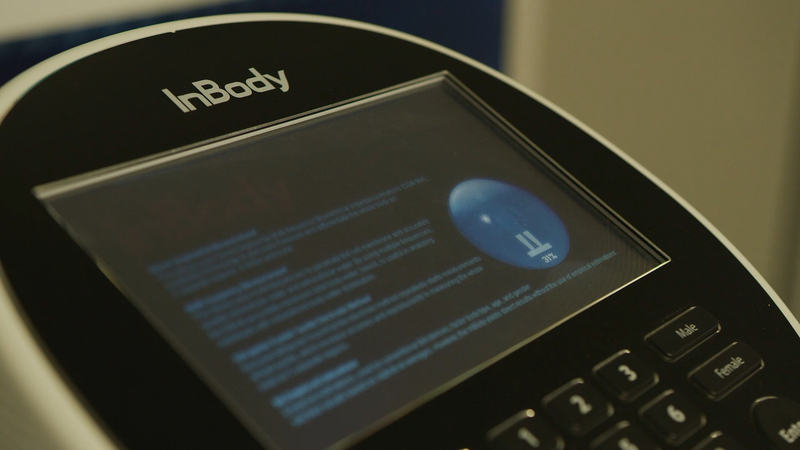 Ethos Health has brought in an InBody Composition scan that the team took into their crib room. The technology measures a person’s body fat, muscle mass, visceral fat and mineral content, empowering individuals to identify where their body is at that point of time and receive guidance as required. Each individual can target specific issues that she or he is having, whether it be smoking, nutrition, alcohol, stress, physical inactivity or blood cholesterol. Watson says, “It’s dressing up another really important message that can culminate in a weight loss message, because all these modifiable risk factors interrelate, whether that be alcohol and obesity, nutrition and obesity, or physical activity and cardiovascular health. Nguyen adds, “Throughout the year, we encourage people to adopt healthy lifestyles, whether that be a free gym membership to pursue during pastimes, a nutrition program that provides free nutrition advice, as well as advice on correct sleeping and fatigue management. All those things add to your health and wellbeing. Initially, employees take a scan of themselves to get a baseline health score. But they will return to the InBody scan every six months to keep themselves motivated. Watson believes ensuring team members can get a follow up and evaluate periodic progress is important to target the real fear that the program wasn’t going to be a success. “If they just consistently continue with their actions, they’ll turn a good outcome into a great outcome. A good athlete might win one race, but a great athlete wins many races,” says Watson. The success would not have manifest without getting everyone onboard with the program at the onset. The leadership team created an eight-step guideline in alignment with WHO’s healthy workplace framework and sent out a worker safety committee to include a union representation to take a look at the site. “Like any workplace, the key challenge is engagement. If you can’t engage people, then behavioural changes are not going to occur. If leaders don’t support the message and the method, it’s really hard to sell the program to the workforce,” says Watson. The management team went further by making structural decisions and adjusting the site policy to motivate people to be healthier. Workers are presented with healthy diet in place of work-based BBQs. A careful selection goes into the drink machines on site. To Nguyen, this is reflective of the maturity of not just the mining industry as a whole but also the company he works for. “I think the focus on people 10 years ago was not as focused on people as it is today. A lot of companies, especially Thiess, have a very mature look on the business,” Nguyen says. Not only did Mt Owen’s leadership team participate in the program, but they’re also actively promoting it. The Mt Owen team, together with Ethos Health, creates a culture where a decision, whether they be nutrition, exercise or health-based issues, is valued within that workforce. The engagement at all levels sees one man ultimately lose 36.9 kilograms and another lost 59 kilograms. “We’re so proud about that because what that means is we’re able to help our people make a lifestyle change that ultimately saves their lives. We’re happy we’ve had a big part to play in that lifechanging experience,” Nguyen concludes. This article also appears in the January-March 2019 edition of Safe To Work.